I have always loved music, especially when the production is a the highest level. Getting to tune the piano for some of these concerts is really a dream come true. When I was younger and attended symphony orchestras, or piano performances, I never thought I would be the one preparing the piano for the concert. As I looked at the schedule last month, I found an exciting entry in my concert venue piano tuning list: the Vienna Boys Choir. Since the date fit into my busy schedule, I booked a complementary ticket for myself (a typical perk) and my wife and four other people (an exceptional perk). 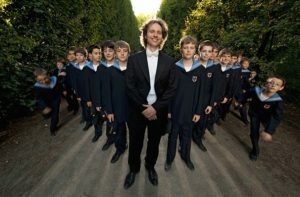 The night of the concert, I arrived early to do a final touch-up tuning after the Vienna Boys Choir finished rehearsal. A few notes needed attention, but after that, my wife and I along with our invited guests relaxed in the heavenly music. Being the Christmas season, they sang a large selection of classical and a few modern Christmas selections. The conductor kept the audience entertained throughout the evening and finished with a flair including two special encore pieces. This Christmas Season, let us not forget to thank God for all the blessings he has bestowed on us whether it is beautiful music, family, friends and I should say especially Jesus Christ who came to earth as a baby in a manger over two thousand years ago and lives today as the risen Savior! Merry Christmas … and a Happy New Year!